Discussion in 'Report a Scam' started by ЩĄ | Horse, Jul 22, 2017. What is the purpose of submitting reports to SteamRep? SteamRep reviews fraud-related reports and warns the community about the individuals that were reported. What kind of evidence should be provided in the report? The best proof of the agreement are screenshots of Steam chat. It is very important to make a clear and descriptive trade agreement (thru steam chat ONLY..never discuss steam trading outside of steam chat) and provide a proof of it, otherwise verification of your report may be impossible. We are unable to accept or review any evidence thru other means of communication like Discord, Facebook, Skype and so on... if you must communication thru these or Voice over..then MAKE 100% sure you mention the FORMAL AGREEMENT OVER STEAM CHAT - Take a FULL screenshot to ensure you get a DATE/TIME stamp typically from task bar at least into the screenshot. Newest changes of 2018 with regards to Steam Chat now enables by default images of any URL you or the other user gives you - we advise you disable this so we can see the URL. Other methods of chat logs thru getmessages over steam can be used but is NOT an acceptable substitute for RAW Steam chat box screenshots! Be sure to get FULL SCREEN shots when collecting evidence - see this GUIDE for help. The final agreement should include the EXACT name of an item for trade, funding source, destination of funds (IE... paypal email address used, BTC hash, skrill account etc..) and the amount of funds or what is to be traded for said items. 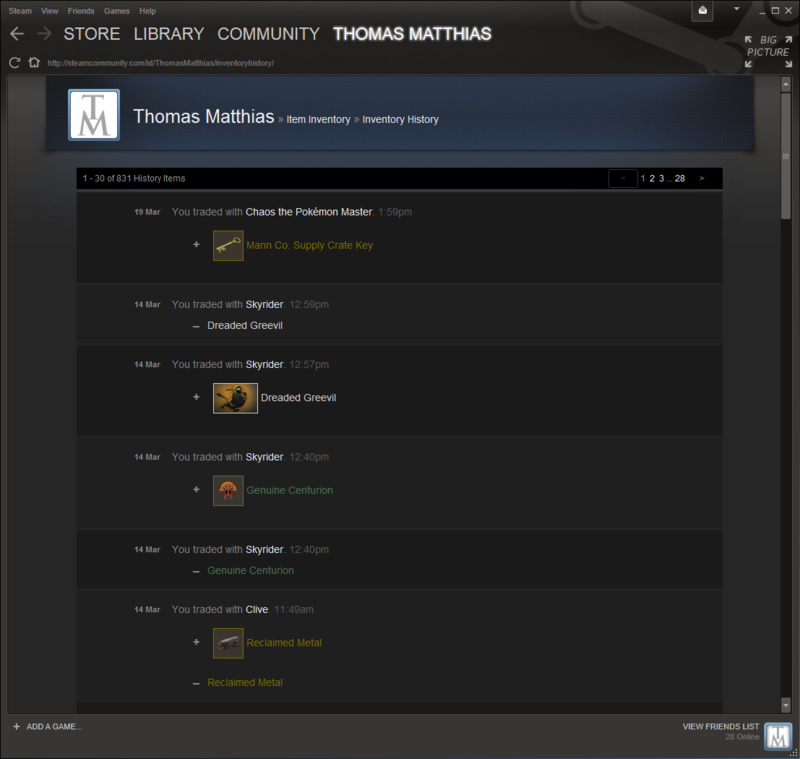 SR only investigates steam trading scams or scam attempts - see Investigative Policy HERE for more details. It is HIGHLY recommended to enable displaying timestamps in chat log. In order to do that, open Steam Settings, then navigate to Friends tab and check the box next to Display timestamps in chat log. Click here to see how to change Steam Settings. All forms of history related to trading and gifting provided by Steam may be a proof of the bad trade. As for now, those are Inventory Trade History, Trade Offers and Gift History. Click here to see the exemplary proof of the bad trade. 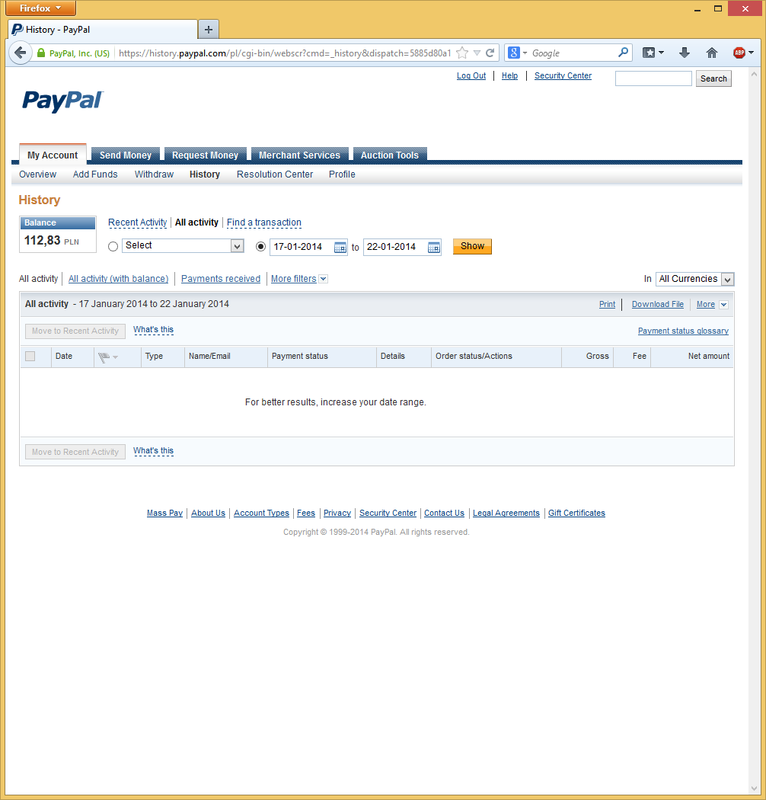 (Log in to PayPal, then choose View all of my transactions). Click here to see the exemplary proof of non-delivery payment. The proof of the payment that you sent are pictures showing the details of the payment in question (Click Details next to the payment). Click here to see the exemplary proof of the payment that you sent. 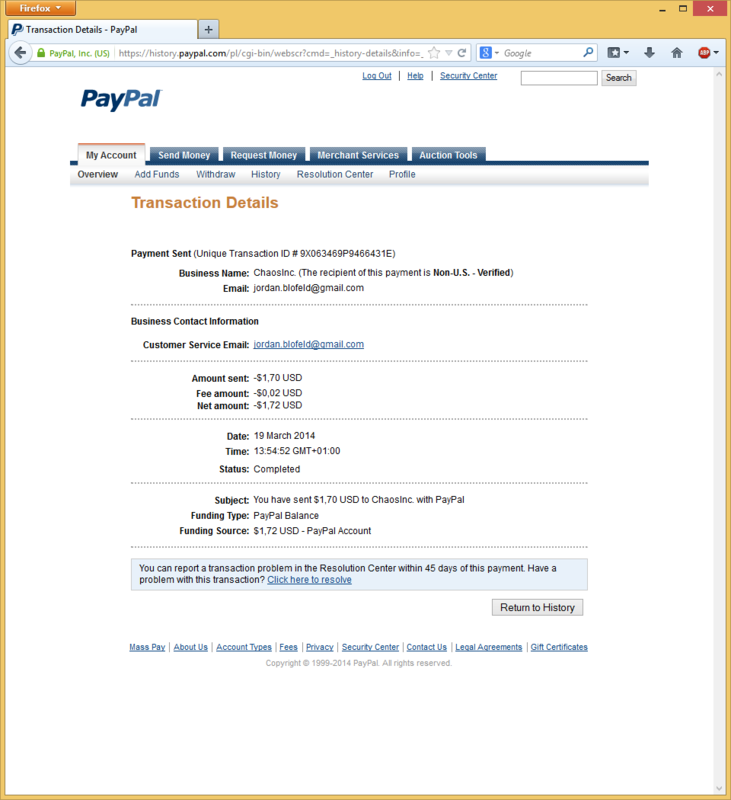 The proof of the chargeback are pictures showing the details of the payment in question (Click Details next to the payment) and the details of the dispute (Log in to PayPal, then choose Resolution Center and click View). We have to be able to verify that the accused is the actual person who scammed/attempted to scam. It is usually much easier if the scam was successful as it makes us able to track the scammed items etc. 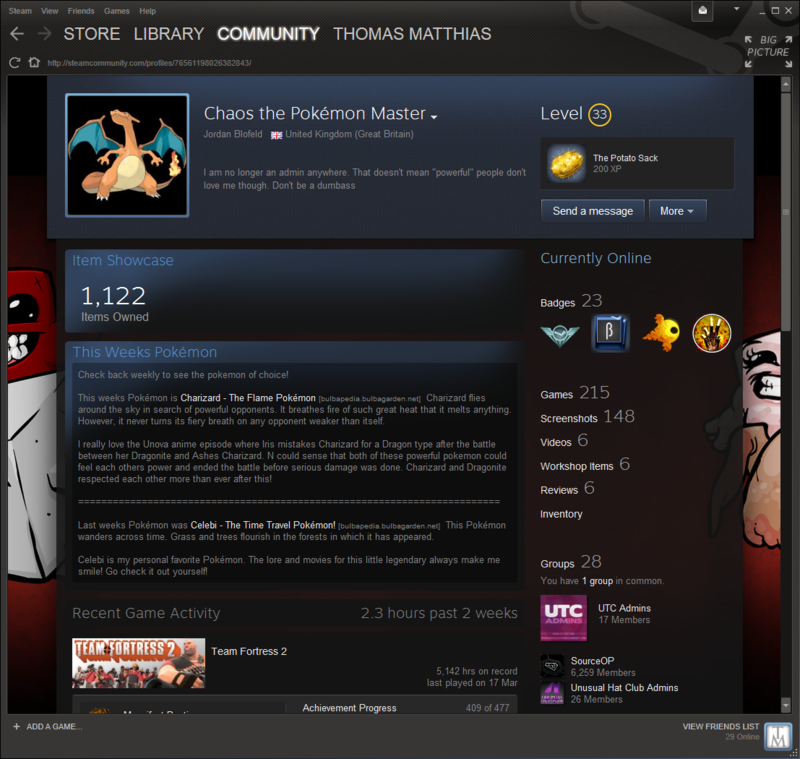 The best proof of the accused's identity is the picture showing the accused's profile with the URL bar visible taken from within Steam at the time of scam/scam attempt. Another good proof of the accused's identity may be pictures of name history or SteamRep Historical Data or Friend Activity may show that you became friends with this user. Click here to see the exemplary proof of the accused's identity. It is HIGHLY recommended to enable displaying Steam URL address bar when available. In order to do that, open Steam Settings, then navigate to Interface tab and check the box next to Display Steam URL address bar when available. Click here to see the picture of Steam Settings. Are there any quality requirements? 1. Evidence should be uploaded directly to SteamRep forum. The main reason for which we decided to set such requirement is preventing evidence from disappearing due to image hostings' limitations. In other words - don't upload images to imgur, gyazo or other 3rd party hosting sites then embed them on the report - make sure they are uploaded directly to the report or it will hold up your report and maybe even marked invalid requiring you to submit it again. There is no need to embed images in the report, all this does is clog up the viewing/scrolling - all you need to do is upload. 2. Evidence should not be edited in any way. Please do not crop/highlight/emphasize/circle any information shown in the evidence. We know what we are looking for/at. Editing screenshots makes it completely unacceptable regardless of your intentions. Please see this guide here to show you how to take proper screenshots as required for evidence on reports. 3. Evidence should present things in full. It is very important for us to be able to understand the case solidly. In order to do that, we kindly ask you to provide evidence that show things in full e.g. pictures of the entire chat, pictures of the entire history from the day of scam etc. When you submit a report - make sure you have everything available up front and attached/noted to the report upon submission. Don't rush to make a report with hardly nothing backing it and state you will add more later or for us to ask you if we need anything else when you already have it. Doing this wastes our time and yours and keeps us from working other reports that also need attention, not just yours. If there are multiple users involved always report the user that FIRST contacted you then reference others involved with a FULL SteamRep profile block and some details as to how they were involved right in the description field. Margen69, www.twitch.tv/xformulas, Edward. and 1 other person like this.